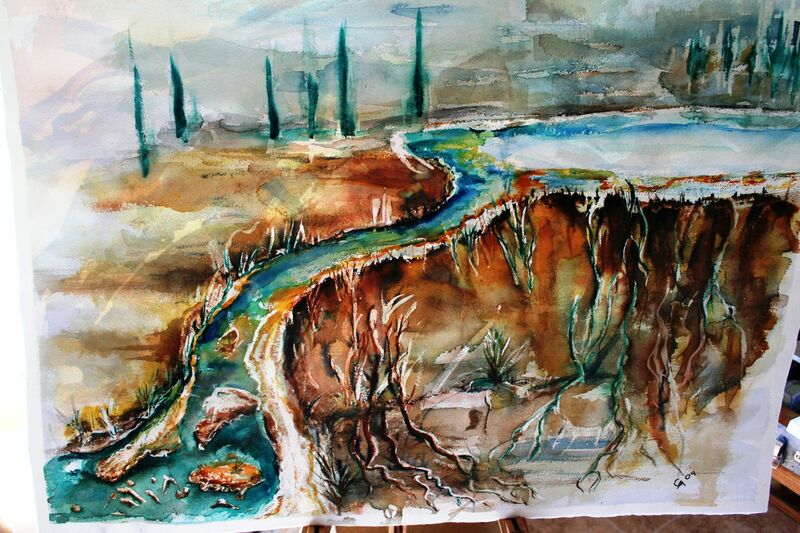 What were you feeling when you painted Yellowstone Landscape? I have been to Yellowstone park and I really feel that you captured it. The feel and smell of the gizers. What I like best about Yellowstone are the brilliantly colored plants that grow in the hot pools. I tried to capture this by using bright rust colors to paint the foreground.